Bored of the same text-in effect on your website or forms? Well, it doesn’t have to the same hereafter. 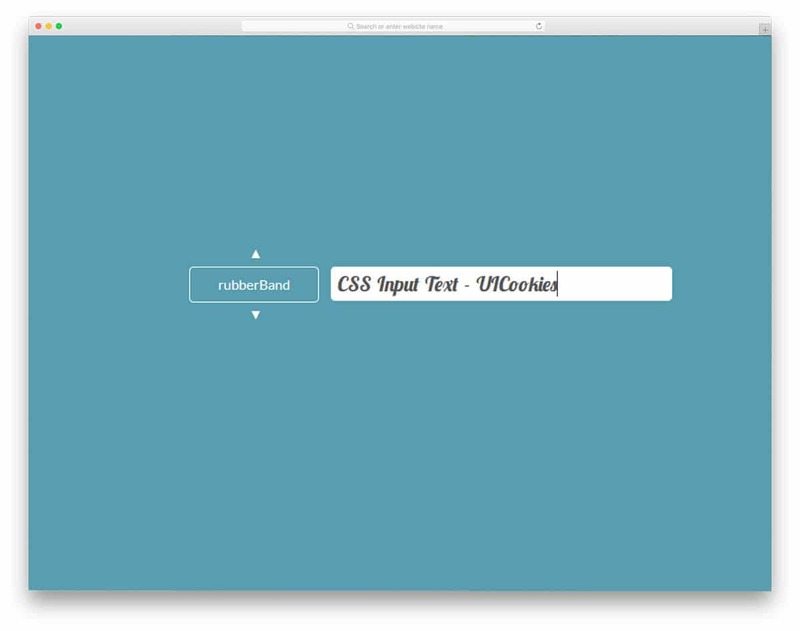 We have collected some of the best creative CSS input text effects. Some of them have a fantasy touch and some will give a futuristic effect. 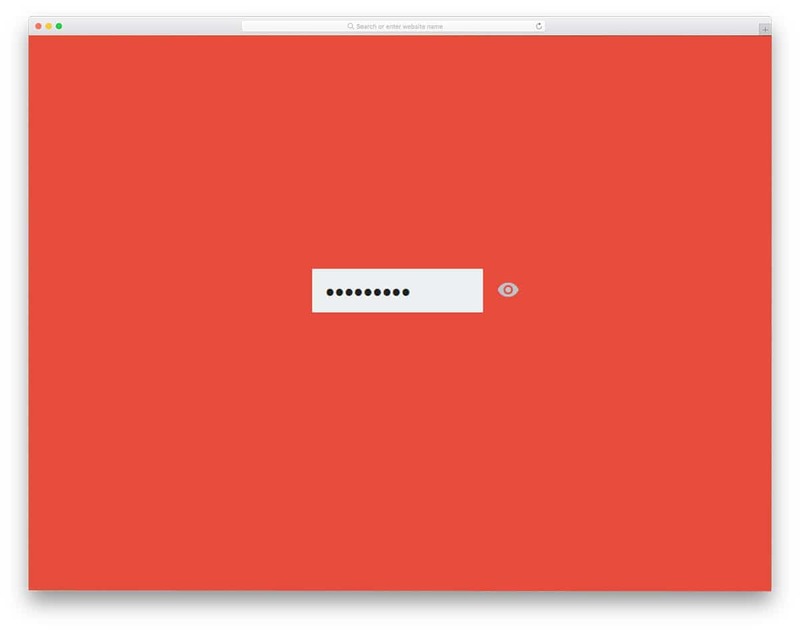 All these effects are light and simple, so you can easily use them on your login forms, contact forms, websites, and even on your landing pages. As most of them are just concept you have to work on the optimization part to make it properly work all platforms and browsers. Some of the input text effects have crazy animation effects. So make sure you check all of them before landing on one design. The creator of this form has used subtle input text effect. Instead of messing with the field labels, the creator has smartly used the text boxes for the animation. The selected text box will show be highlighted by a colorful line running through the text box boundary. Form field labels neatly vanish as the user add texts into the fields. Fonts used in this form is bigger and bolder so people can clearly see the input texts. If you need you can use this entire form on your business website. You also get a working Google map as the background which you can use to show your store or office location. 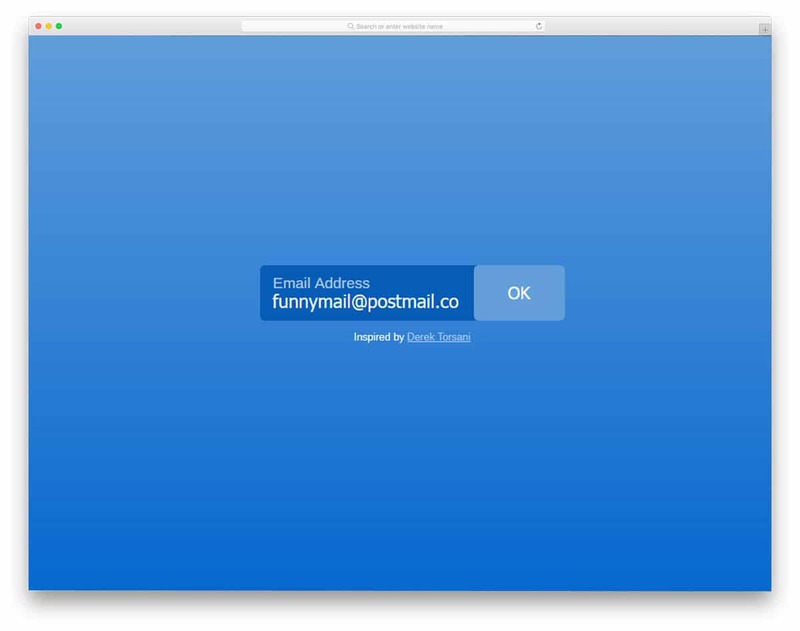 Contact Form v10 uses a subtle animation effect. 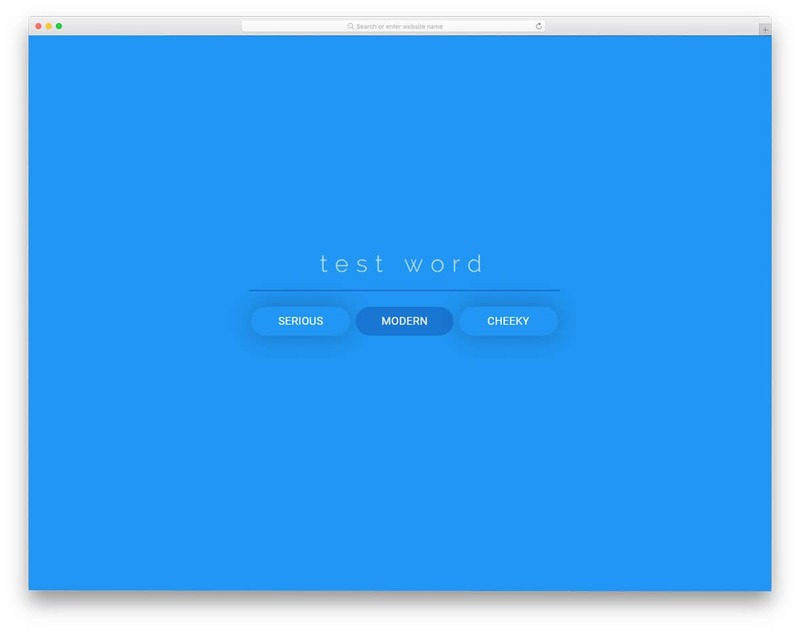 If you are looking for simple yet cool looking input text for your modern web design website template or website, this one will be a good addition. The creator of this design has used the latest CSS3 script effectively. 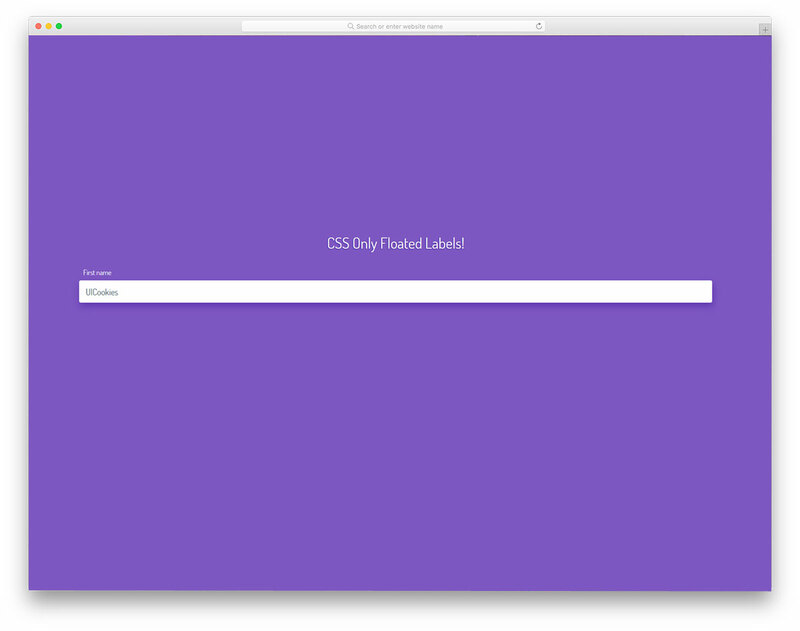 Hence, you get a fluid transition and a swift page loading. The fonts used in this form is almost similar to the one used in the V8 version mentioned above. You can expect the same clarity and readability of the texts in this one as well. The simple rounded edge elements will easily blend with other web elements on your website. 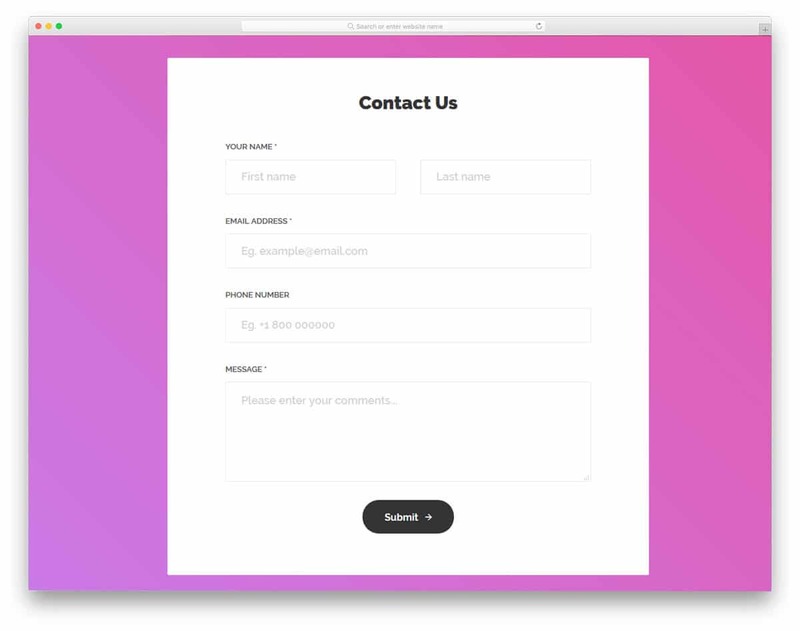 Contact Form v4 is a colorful modern contact form with all the option you need pre-designed for you. If you are looking for an effective form design for reservation, registration, contact forms or any other forms, this one fits perfectly. Form field labels and form field headers, both are given in this form design. When the user entering data, they will clearly know what they are entering. A small line loading animation is used to indicate the selected form field. The creator of this form has given you properly organized folders in the download file to make your work simpler. The Contact Form v14 has very subtle yet attractive input text effect. Using bright colors the creator of the form draws user attention on the required form field. A bright flashy color is used to indicate the selected form field. To indicate the form filed with error, bright red color with a cross mark is used. All the effects used in this form is subtle yet effective. By default, you get form-field validation support in this one and all other features are properly working from the front-end. 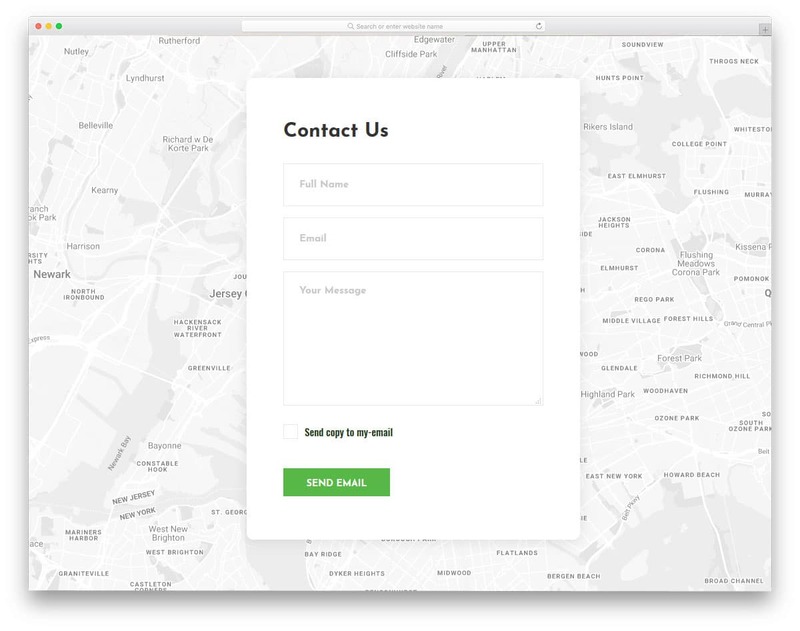 Few customizations will help you add this form easily into your existing website or project. The creator of this input text effect has given you a form design. 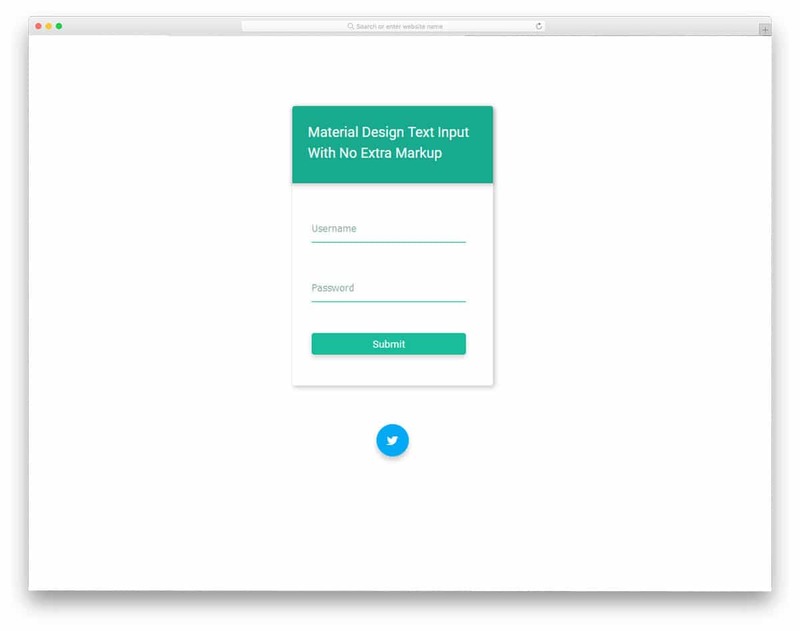 You can use this for text input text effects on your login forms and registrations forms. Form field label texts are kept small and neat so that it can be used in all types of forms. The form field labels move up to give you space for adding texts. But, there is a small displacement in the animation, which you can fix easily. Shadow and depth effects are used smartly to differentiate the web elements and the input text fields. At the bottom of the form, you have a Twitter icon to add your profile link. 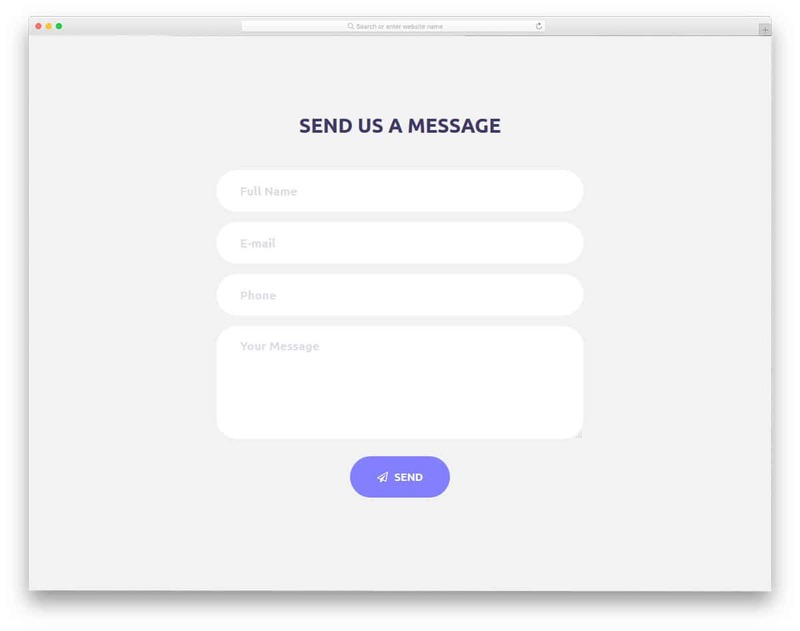 If you are looking for a clean subtle input text animation for your contact forms, this is the one for you. The professional design of this input text effect makes it a perfect option for any type of text fields on your website or application. 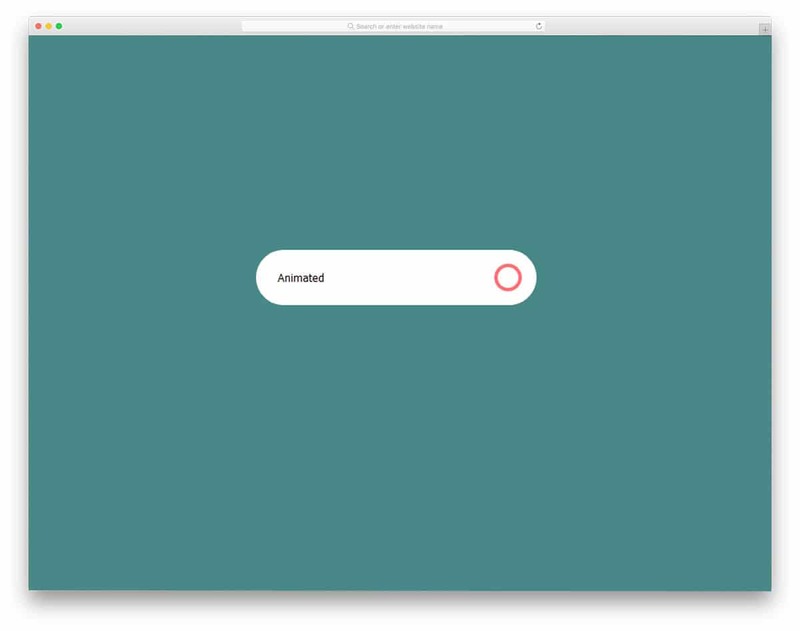 A quick animation effect is used to indicate the form field selected for adding details. Form field labels smoothly move up and stay there to let you add the details clearly. In the default demo, you have three form fields, but you can add as many form fields as you want. The entire code structure is shared with you, so customizing it won’t be an issue for the developers. Well, in the above example you get the whole set of forms and other effects. You have to manually separate the input text effect that you like. 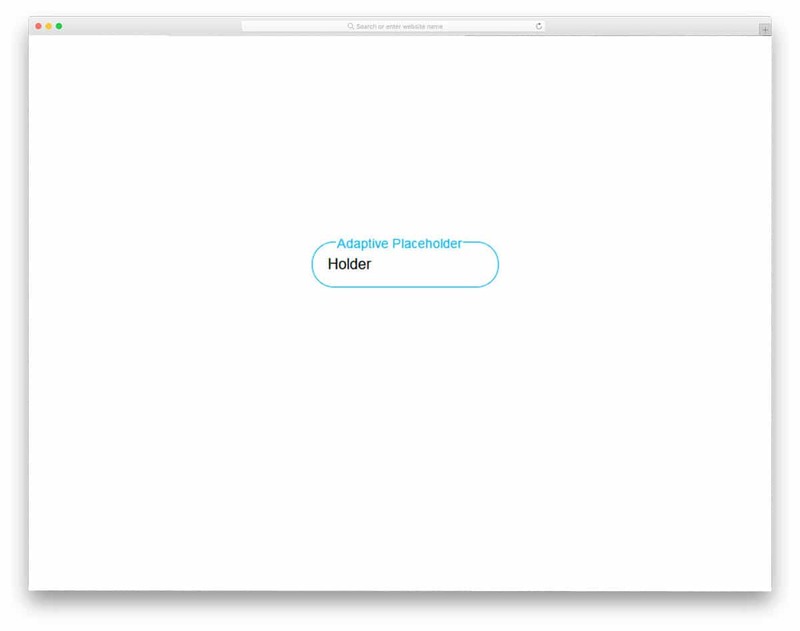 To make things simpler, the creator of this text effect has given you the code structure of floating labels alone. Since it is a pure CSS text effect, you can easily add it to your existing design. The floating effect is smooth and clean without any lag or misalignment. As the form field text moves above the text area, make sure you gave ample amount of space between each text field on your form. 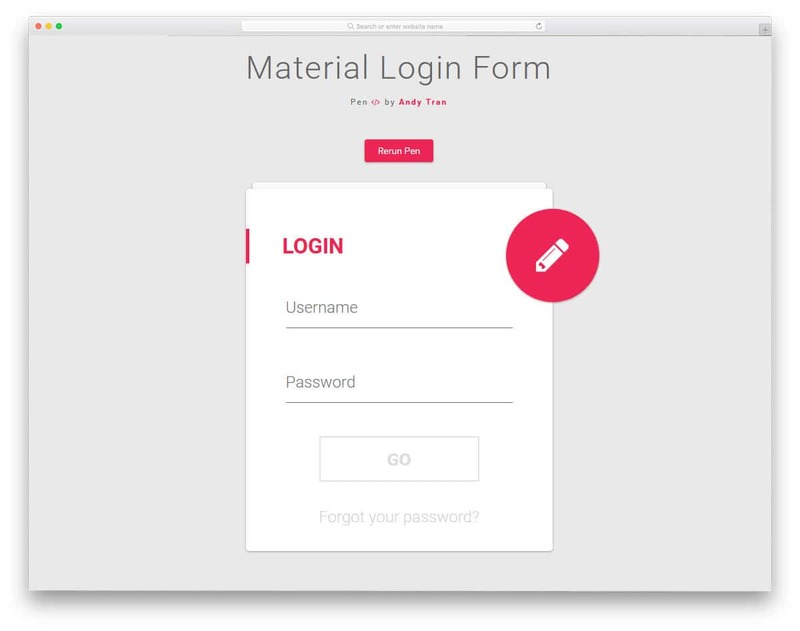 Material Login Form design not only gives you an input text effect but also the entire login form animation effect. As the name implies, this one uses material design in this form. 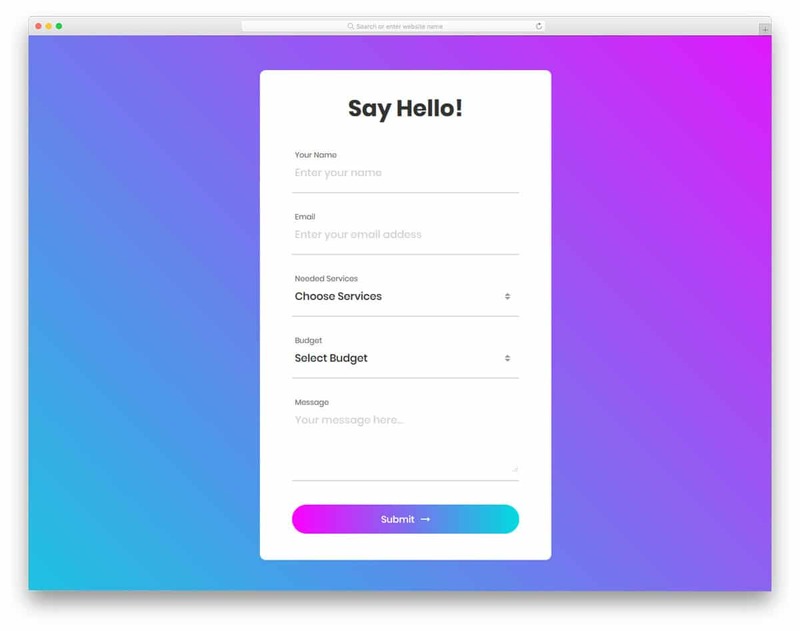 Sleek animation effects look attractive on the material design and material color scheme. 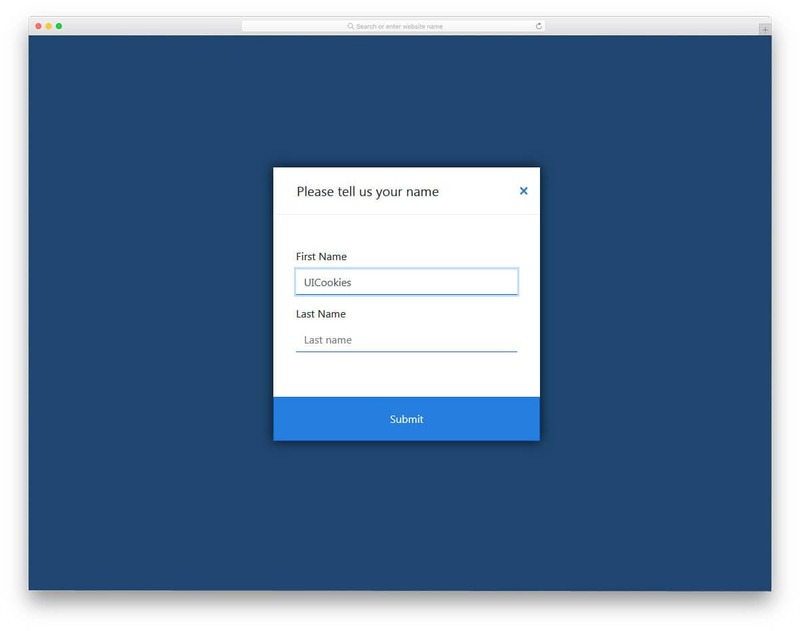 The form fields are working perfectly from the frontend. All you have to do is to take care of the backend integration. The developer of this effect has it kept it very simple so that it loads faster and works perfectly within the given area. Along with the login form, you also get the registration form pre-designed for you. If you are running a design resource website or a font designer, tools like this will help you engage your audience. 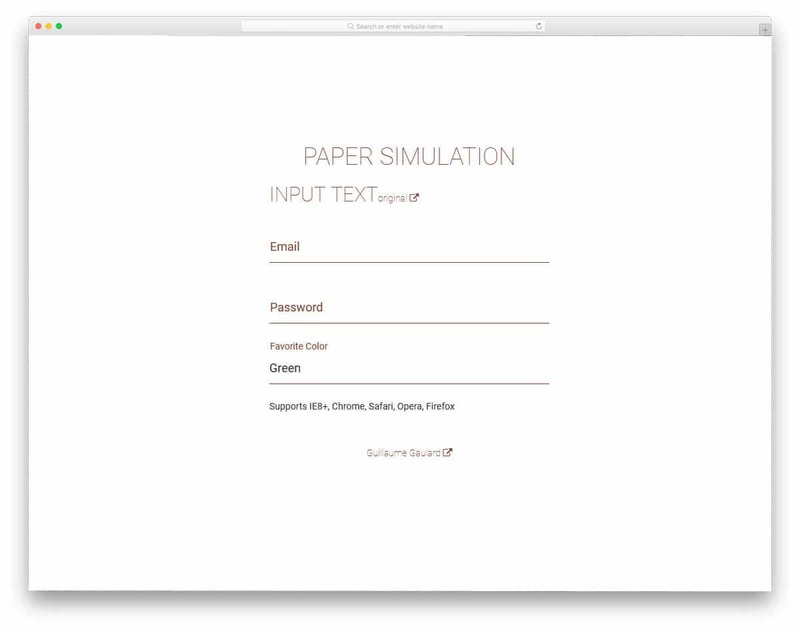 The developer of this text input field helps you to show different text effects. To the left, you have a drop-down option to select an effect and you can visualize it on the text box given on the right. 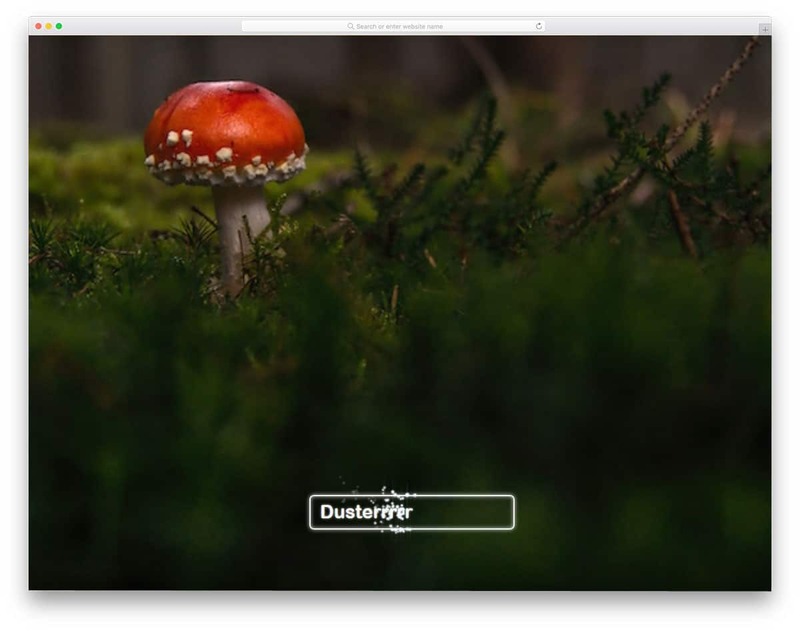 You can use elements like this in your personal website to showcase your skills. If you are a freelancer, take a look at our free freelancer website template collection to take your business to next level; plus, they are very flexible so you can use elements like this easily in those templates. Input text fields like this will increase your productivity. If you are familiar to WordPress environment, this tag input text design is similar to it. Once you add your tag and place a comma, it will be added to your tag list. To show the users that the tags are added successfully a highlighter design is used. Deleting tags is also made simple, simply backspace to remove the tags you don’t want. 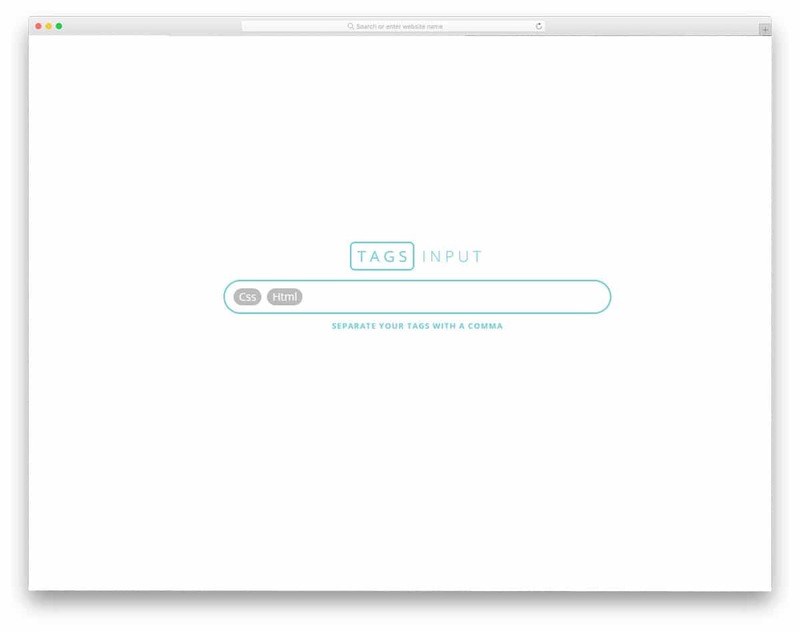 By adding few more features to it will make this input text field box a perfect addition for your dashboard or website. Take a look at our free dashboard template collection for more user-friendly built-in features like this, which will save your time. 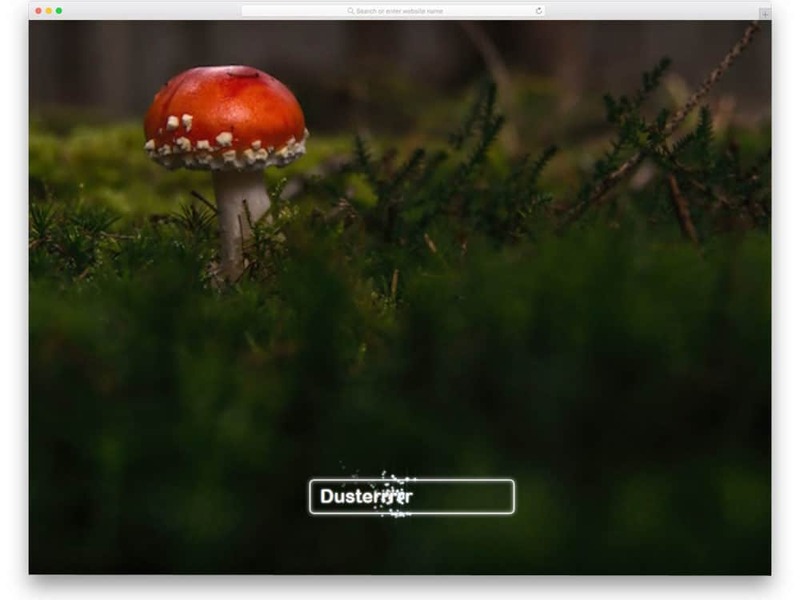 Input UI Animation will give an idea for your multi-user interactive text editor tool. 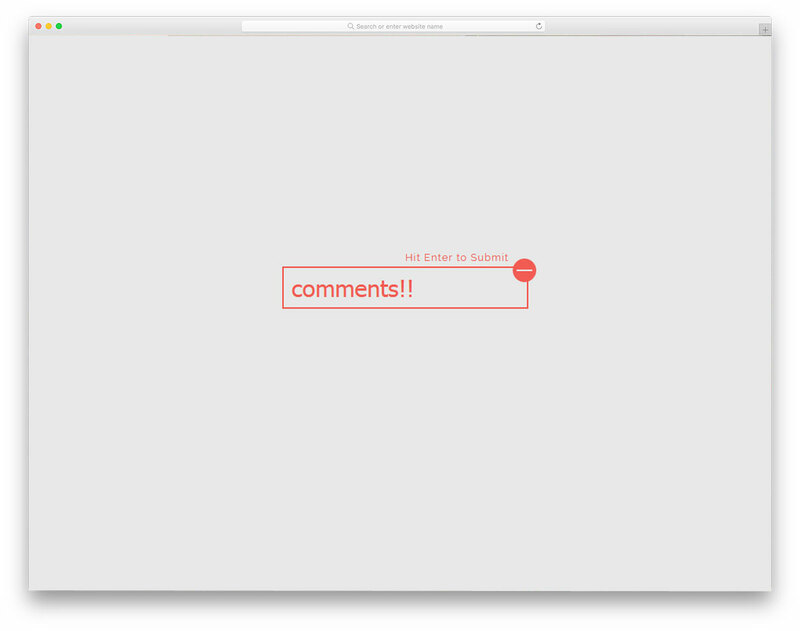 If you wish to give comment option for your users, just like in the Google Docs, the design will help you. The effect is simple and sleek so that it loads quick. This design can also be used for creative blog design area. As mobile users are increasing, making responsive elements is a must. Just like the accordions, this design will also save you space and performs better in both mobile and desktop version of your design. Take a look at our CSS accordion collection for more impressive design and funky animation effects. If you are looking for a poised animation effect for your website or application, this effect might impress you. The effect used in this input text field is simple and sleek; yet, it takes some horizontal space, so make sure you give enough space for the elements before using it. Apart from the animation effect, it is a regular text field which you can use in all websites and forms. By making few customizations, this one can be used on your project. Since the code script used for this input text animation is shared with you, working on it will be an easy job. Unlike the Animated UI effect mentioned above, this one is a practically possible input text design. You can use it for all types of websites and forms. Since the effects are minimal, it consumes only less screen space. When the user types on the text field, the file tag smoothly moves to the top. Another advantage with this design is the tag placeholder is an adaptive placeholder so it can handle text spaces smartly. 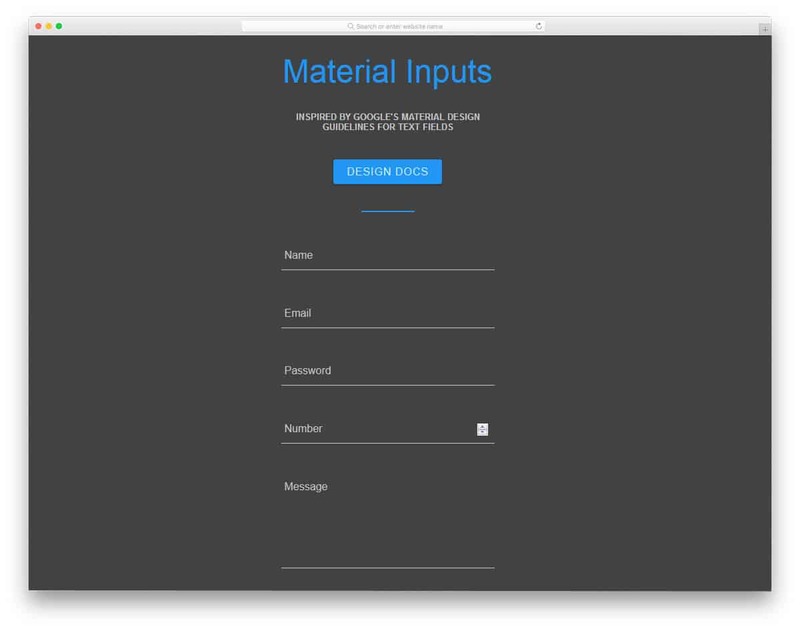 CSS-only Material Input is a simple material design form template. Well-structured clean form design makes it a perfect option for all types of professional designs. The form field labels neatly move up when the users interact with the form fields. Another advantage with this text field design is it supports form field validation. All you have to do is to make the changes you like and add it to your website or application.